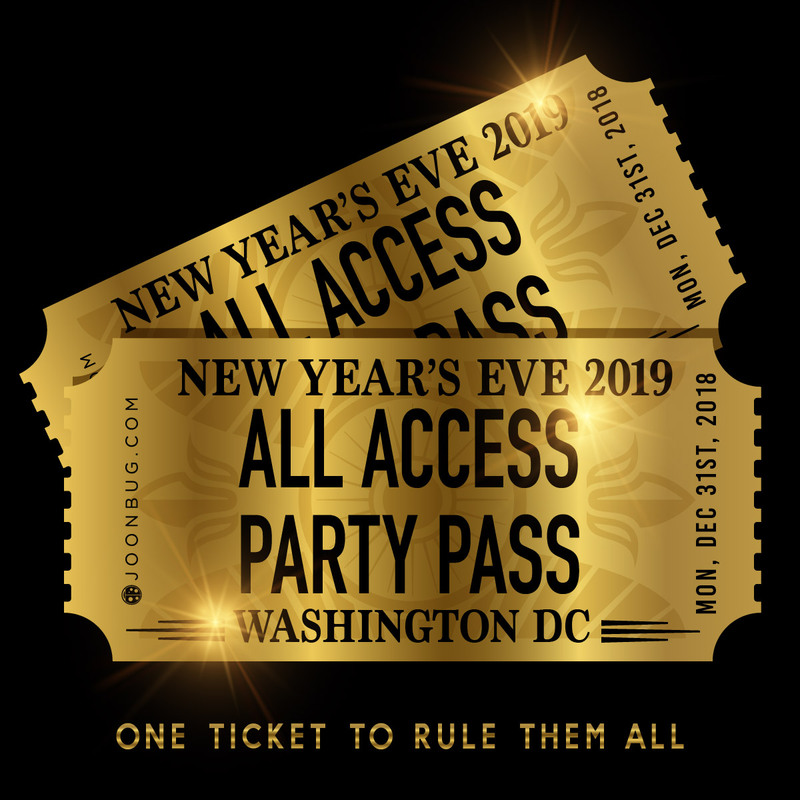 Amplify this New Year’s Eve with the Washington DC All Access Party Pass. Party hop like nightlife royalty with access to a line-up of DC’s best NYE events. This supersized NYE adventure features top-of-the-line amenities and unparalleled energy at DC’s most in-demand hotspots. Fire up your New Year with the DC All Access NYE Party Pass. Get General Admission entry to a selection of DC’s hottest New Year’s parties at the city’s popular bars, clubs, and nightlife venues. An open bar (vary by venue) will fuel the night while other complimentary goodies like festive NYE party favors and midnight champagne toast, round out the deluxe treatment. Live DJs will be spinning the hottest Open Format to energize the dance floor and, at 12 o’clock, lead the room in an exciting countdown to the New Year. This New Year’s Eve, the party complex that houses Dirty Bar and Dirty Martini will come alive over three floors of epic NYE revelry – and Washington DC, you’re invited. Mix and mingle between the stellar Dupont Circle venues Dirty Bar and Dirty Martini, both of which will be loaded with all the best party amenities like open bars and premium DJ talent. Washington DC, this is your ticket to the best NYE party in town – don’t wait for your chance to live it up. This New Year’s Eve experience the thrill of the crowd at Downtown DC hotspot, District Anchor, for its NYE party. Well beloved by locals and a lively attraction for transplants, this intimate space is about to crank up the energy this New Year’s Eve with an all-out bash. This amenity-filled event has more people than ever readying themselves for the District’s next party. This New Year’s Eve, Washington DC’s latest high-end club and event space, Living Room, invites you to an amplified NYE party that is going to be out of this world. Combining chic design, high-geared energy and an upscale vibe, Living Room is poised to become DC’s nightlife “it” spot. This New Year’s, Living Room invites you to join DC’s party insiders for a NYE fantasy that will satisfy the most electric party taste. Looking for a chic location in downtown DC to ring in the New Year? Come spend your New Year’s Eve in the vibrant atmosphere of Lost Society, a fabulous space with a killer heated roof deck. Loved by locals and newcomers alike, this trendy lounge will be turning up the heat for their big year-end blowout. REGISTRATION POINTS: A DC All Access Party Pass wristband is required for entry into the participating venues listed above. Purchase a Registration ticket to Dirty Bar as your starting point, receive your Party Pass wristband and you're on your way to an unforgettable night. *Entrance is subject to capacity at each venue, if at capacity go to the next venue.